This book will teach you the art of Snapshot Archeology! Snapshots contain so much more than you perceive in a casual glance. But we give them only a casual glance without ever considering the powerful forces that came together at the exact moment in time in which they were created. Your singular perspectives, your individual history, and your own private, internal language are the keys to unlocking the amazing information in your images. You'll have access to an entirely new look at the seamless interconnectedness of your life. Understand the subtleties of energy in the various types of images around you. Choose a snapshot that is likely to hold messages for you. Think like an archeologist when you "excavate" your snapshots. Find a good place to "dig" into your image. 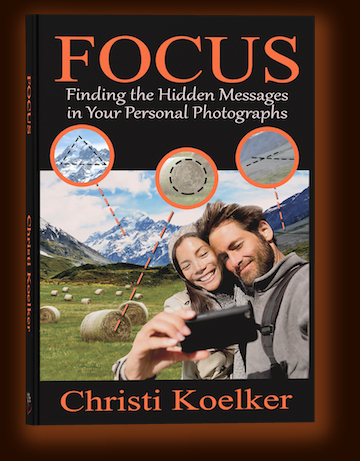 Use tools to decipher the signs, symbols, patterns, and other elements in your personal snapshots. Support your local bookseller. If they do not carry this book, it can be ordered quickly through their regular distributor. To order online, visit Amazon.com or other online sellers worldwide.